There are 2 non-recent but very relevant reports which provide excellent insight into helping small nonprofits become more effective. 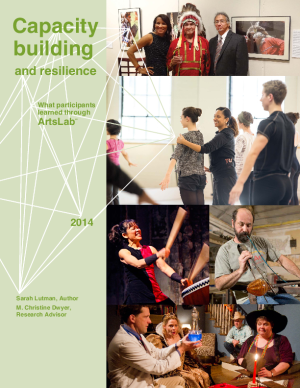 One is a report which I read in 2012, “Local Forces for Good” from The Stanford Social Innovation Review and the other, “Capacity Building and Resilience-What Participants Learned through ArtsLab” (2014), from Arts Midwest. This post summarizes the salient points from these reports. The reports are well worth reading for nonprofit executives, funders and consultants interested in the leadership qualities that support organizational capacity building and fiscal oversight. While the findings from the Arts Midwest report provide insights from organizations within the arts community, many can be applied to other fields. This report makes reference to a previous book written by the authors about 6 organizational practices which have been adopted by high impact national or large nonprofits. In this report, the authors conducted research on and considered how the six practices could also be effective in helping local or small nonprofits achieve greater impact given limited resources. The report discusses the practices, their applicability and limitations for small or local groups. Master the Art of Adaptation – If an organization, large or small, is not adaptable, meaning, “able to perceive and easily respond to environmental changes by employing creative solutions”, then it will be unable to put the other five practices in place. A Word about 2. ), 3. ), and 4. ): Nurturing peer networks, inspiring supporters/volunteers and sharing leadership are all closely intertwined practices which local or small nonprofits can more easily adapt than perhaps national nonprofits. How and why? It is easier for local nonprofits to build supporters and volunteers and even share leadership by tapping their local neighborhood community and nonprofit peers. 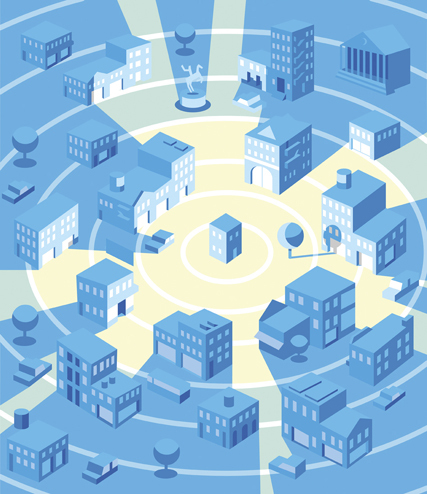 Local residents are easy to reach and can align themselves closely with local issues. Establishing peer networks helps local nonprofits to “share resources and ideas, learn new approaches, engage others in their cause, capture economies of scale, and coordinate actions across sectors to achieve impact.” There are endless possibilities when it comes to looking beyond your back door and collaborating. I have even seen success with small groups sharing the financial function. Most striking to me was that the authors saw evidence of volunteers who were not just working administratively but assuming high levels of responsibility including establishing organizational strategy. To “inspire evangelists”, nonprofits need to nurture strong emotional attachments and create worthwhile experiences for volunteers and supporters. 5. Make Markets Work means gaining access to or partnering with for-profit companies and adapting your business strategy accordingly. It can also mean managing a for-profit business. With cutbacks in government funding and philanthropy, the authors noted that some smaller nonprofits found ways to associate with for-profit businesses and at the same time, gain financial stability. At the same time, the research showed that this practice is not an easy one to apply. 6. Advocate and Serve – Of the six practices, advocacy was the most difficult to adopt given serious organizational resource constraints and fear of being viewed by supporters as being political. This report identifies four capacities that have helped small and mid-sized organizations in the arts sector learn, adapt, and grow. The eight organizations involved had successfully navigated through one major transition or opportunity for growth or development. The report is based on research compiled from a leadership and strategy development program to address operational challenges, staffing and leadership changes, and shifts in funding. What capacities helped these organizations through transitions? Strengthen leadership team and clarify roles – This process includes governance strengthening, continual communication, and seeking external advisors/mentors. Affirm and Refine Purpose – Part of this process comprises what the authors call seeing work “from the outside in”, i.e. knowing what’s happening outside your organization; Looking at people, places, ideas and trends that are influencing your work. This process is essential when it comes to either decision making regarding external collaborations or internal growth. Development of Necessary Infrastructure – For many small organizations researched in this report, infrastructure development was essential for resilience and sustainable growth, including: a) Building financial planning and operating systems, b) identifying the economics of their business, work, or sector, c) developing financial or other benchmarks and d) devoting ample efforts to fundraising. Adaptation of New Organizational Practices – Employing this practice means learning about organizational development and management of people, programs and processes. In addition, the ability to continuously evaluate success or failure and to develop plans to improve or adapt is also crucial. Whether you are running a small nonprofit or consulting or providing funds for one, the insights offered in these reports can be a helpful starting point to developing a more effective and sustainable business. What practices have you adopted to facilitate growth, effectiveness and sustainability? Share your successes or struggles. Newer PostArtists Thinking Like Entrepreneurs?